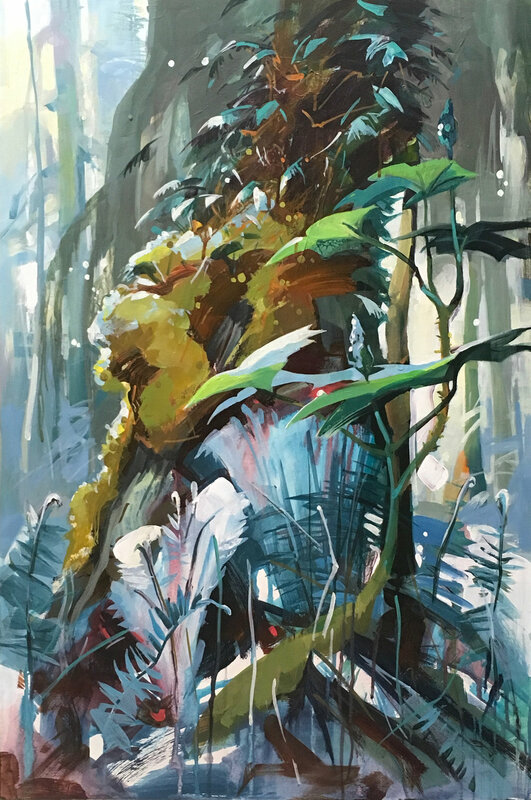 Detail “Song of the Licorice Fern” 36”x24” acrylic will go up for auction December 1st 2018. On December 1st, my donation “Song of the Licorice Fern” will be auctioned along with 9 other Mountain Galleries artists to raise $$ for Canuck Place Children’s Hospice, sponsored by the Fairmont Chateau Whistler. Please consider supporting this life changing organization and all the families and little ones involved. More information to come! “Chelem Trail” Limited edition archival print 11”x15” on Canson aquarelle paper. Proceeds from the sale of this print, “Chelem Trail” goes to support the Squamish Environment Society and their educational programs like Eagle watch, Citizen Science, Squamish Birders and others. A very worthy local cause - contact me for more info! Because I’m a girl, I support Plan Canada’s “Defy Normal” campaign in places where denial of children’s rights is ‘normal’. I’m proud to be a sponsor of 2 young girls, helping them get an education and supporting their families and communities. An introduction to the special properties of synthetic Yupo paper and the problems of protecting watercolour paintings and other fragile media.